In among the Pirelli seethe that followed the Spanish Grand Prix an important development from Sunday's proceedings was to a large extent missed. The race was the strongest indication in a fairly long while that Ferrari - finally - looks like it has established a strong championship-winning package. The occasional dropping of clangers so far this year (be they from the team or the driver), most notably at Malaysia and Bahrain, has shrouded things somewhat as has the car's relative shortage of qualifying pace. 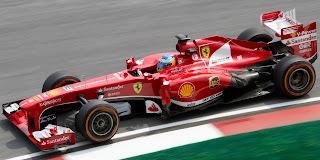 But in the races in which nothing has gone wrong Fernando Alonso's Ferrari has won two at a canter and was only beaten in the other by Kimi Raikkonen's Lotus stopping one time fewer than it. Does Ferrari finally have everything right? Strategy? Yes, strategy. For a while - loosely ever since Ross Brawn left the team - Ferrari's race strategy had often appeared rather deficient compared with its rivals, slightly reactive and ponderous. But in Spain (just as in China) the team's approach can be considered a triumph. Pretty much only Ferrari, certainly among those at the sharp end, realised in advance that a four-stop strategy would be required in the race, and as a consequence was able to enact it without compromise, both cars pushing throughout. Red Bull in contrast aimed for a three-stopper but had to abandon the idea midstream and enact an imperfect version of the four-stopper; by the time the team had resolved to switch Alonso was 13 seconds up the road of Vettel and couldn't be caught. Mercedes for reasons best known to itself stuck obtusely to three-stoppers, and we know how that one turned out. Ferrari may or may not finally end its title drought this year. But whatever the case it for various reasons looks a more formidable proposition than it has done in some time. There was briefly a possibility that Alonso's endeavours would all be for nothing however, as after the event he was invited to speak to the race stewards for, get this, picking up a Spanish flag to wave on his slowing down lap. To an extent I can sympathise with the stewards, as the rule, of not 'receiving an object after the end-of-race signal', exists so not to allow drivers to add to the car's weight after the race and before scrutineering and thus run under the minimum weight undetected. And Alonso's win realistically was never in doubt, a fine or wrist slap was always a much more likely sanction. But you feel that the stewards should have realised quicker that this was transparently not a case of flagrant cheating. And in any case they decided not to punish Alonso 'to be consistent with a previous decision made under similar circumstances', which as Will Buxton pointed out makes it seem rather a pointless regulation in the first place. More generally, my view is that slowing down lap celebrations in F1 are way too restrained. The most expression we can expect it seems is a tepid tour back to the pits, with only the waving of a hand from the cockpit allowed, and then in parc ferme Herbie Blash ushers the top three drivers up to the podium pronto like an officious hall monitor. 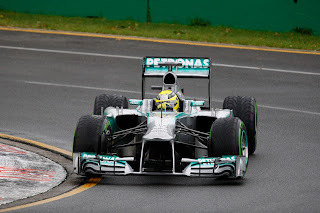 One recalls Felipe Massa in Interlagos one year performing a few donuts for the crowd after the race's end. The crowd lapped it up of course, but F1's hardy veterans reflecting the culture instead had an intake of breath, assuming that Massa would be called up to the headmaster for it rather than enjoying it as the spontaneous show of flair that it was. And I compare it all with the celebrations we see almost every race in MotoGP which are always entertaining, sometimes elaborate (I've provided below one of Valentino Rossi's such efforts which I love) as well as what we see in Indycar from the likes of Helio Castroneves. It makes fantastic television, the fans in attendance love it and no one is left in doubt as to what the result means to the victor. There's nothing not to like. If they can do it without problems then why can't F1? Everyone loves Kimi Raikkonen. And if the grapevine is to be believed he has acquired yet another admirer in recent times, one Red Bull. 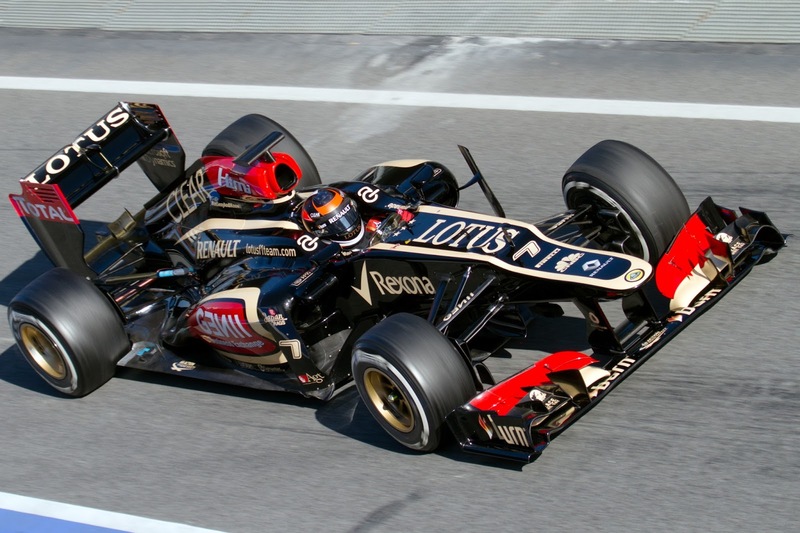 A mooted switch there for the 2014 season was a matter that followed Kimi around for much of the Spanish Grand Prix weekend. Kimi Raikkonen - has an admirer in Red Bull? And it's an idea that the more I look into it the more I surmise good reasons why it could happen. We can fairly safely work on the assumption that Mark Webber isn't going to be with the Bulls in 2014, meaning there'll be a vacancy alongside Vettel. And even as rumours swirl conspicuously no one's denying anything. Indeed, Red Bull boss Dietrich Mateschitz has spoken openly about his admiration for the Finn as well as his suitability for a Red Bull drive. From Kimi's perspective, an Adrian Newey car will always be tempting, as will being at (in effect) the Renault works team in the first year of the new engine rules. While Lotus has done an excellent job in recent times, a Red Bull still seems a better, and better-resourced, bet. As for Red Bull's perspective it's also clear what would be in it for them: Kimi has established himself as one of the best and most reliable F1 drivers in recent times, and surely in a Red Bull he'd be invaluable both for wins and for points in chasing the constructors' title. Kimi's also a popular personality, and one that you feel fits the Red Bull brand perfectly (and he was sponsored by the company in his rallying sojourn). Of course, a potential impediment would be what Luca Montezemolo called 'two roosters in the same hen house', but among the top drivers surely Kimi represents the lowest risk of all on this front, given his firmly apolitical and equanimous attitude. Plus he and Vettel are friends. Further, while some have claimed that Vettel could veto the move, you'd imagine that Mateschitz would not have talked openly about Kimi's candidacy had Seb not given a move his blessing. And while you'd think ordinarily that Red Bull would want to promote from within (i.e. from Toro Rosso/the young drivers' programme) by the same token the team clearly feels no obligation to do so; indeed the only driver it has ever promoted to the big team via that route is Vettel. Even with Daniel Ricciardo's recent improvement it's hard to argue that either Toro Rosso pilot has made an irrefutable case for the step up. For Antonio Felix da Costa you feel the chance has come too soon. To borrow Sherlock Holmes's maxim: eliminate the impossible and whatever remains, however improbable, must be the truth. But another reason why I think that this could happen is to do with Red Bull itself. Without being pejorative, Red Bull is not in F1 as its raison d'etre as Ferrari or McLaren is, it is there as part of its PR. And even with winning all of the time (or maybe even because of it) it may sense something of a law of diminishing returns from its F1 involvement. What better way to spice it all up than signing Kimi? History is far too important to be left in the past. Weird thing to say I know, but history - and not just in F1 - is a living thing. Subsequent events and discoveries can and often do put a whole new perspective on prior events. And so it is with Nico Rosberg. Even though this year he entered year eight of his F1 career he was still viewed by many as something of an enigma. Not in terms of being inconsistent or frustrating, but rather in terms of the question of exactly how good he was never seemed satisfactorily answered. This was down mainly to spending years in underperforming machinery as well as that, aside from in his debut year paired with Mark Webber, it was considered that he never had a team mate providing a clear barometer that Rosberg could be measured against. This he clearly has now following Lewis Hamilton's arrival at Mercedes and, what do you know, Nico's impressing us, doing much better than many (me included) had expected. Few stable mates can be considered as formidable as Hamilton, but despite bearing the brunt of unreliability misfortune so far Rosberg has on pace given at least as good as he got in the comparison, both in qualifying and the races, while in Spain he left Hamilton far behind. And to return to where we came in, it also all puts a new slant on Rosberg's F1 performances up until now. Most pertinently, it puts a new slant on his match up with Michael Schumacher in the past three years. Most assumed that Rosberg generally having the upper hand (though things got closer over time) was down in large part to Schumi struggling. Perhaps though the latest evidence suggests that Schumacher, and by extension Rosberg, did a lot better than many of us assumed. This season has had its fair share of teams performing below expectations. McLaren has rather quintessentially, Williams has also. But there is another whose season has fallen shy of what was anticipated at the outset, one which has had less attention: namely Sauber. This may sound a bit extreme, after all Sauber has spent most of its existence roughly where it is now, i.e. deep in the midfield. But it's easy to forget that prior to the season's start optimism was high. The team after all had come off a campaign wherein it had claimed four podium finishes, and had in some races looked plainly the quickest thing out there. 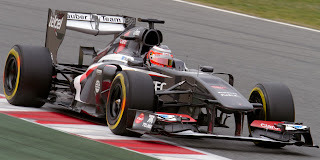 Indeed apparently by the team's estimation the C31 in 2012 was deserving of even better results than it got, and with the highly-rated Nico Hulkenberg signed in something of a coup (given he'd been variously linked with Ferrari and McLaren) it was felt that everything was in place for the potential to be fulfilled properly in 2013. Reflecting this the Hulk talked in terms of expecting podium finishes, perhaps even seizing a win (his move to Sauber wasn't simply about Ferrari proximity, as some assumed). 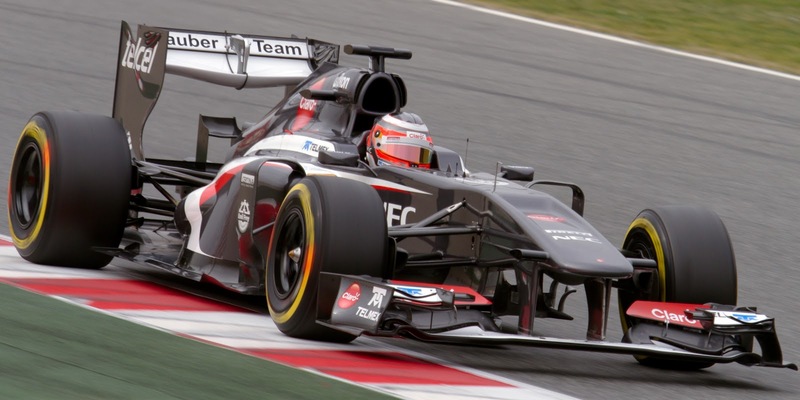 And even better, the C32 in pre-season testing featured the F1 field's most noticeable design innovation with its narrow sidepods. But somehow, and just as with McLaren and Williams, all of the hope has evaporated on track and without obvious explanation. And in Barcelona things were as bad as ever: Hulkenberg qualified only fifteenth, and finished there too following a clumsy clash with Jean-Eric Vergne in the pits and a subsequent nose change and stop-go penalty. Podiums, let alone wins, appear but a distant speck on the horizon and Hulkenberg has showed his frustration on occasion, particularly on the radio on his slowing down lap after the Malaysia race. And it's understandable, most pointedly because, while a driver of Hulkenberg's quality will always be on the radar of other teams, with vacancies expected further up the order for next year it's possible that Sauber's struggles will make the Hulk slightly less top of mind among potential suitors than might have otherwise been the case.